Dr Sonia Ghai is a Consultant general adult psychiatrist who has had experience working both in the public sector and over the last 2 years in the private sector. Dr Ghai completed her undergraduate degree in medicine as well as postgraduate qualifications in Psychiatry from Mumbai, India. Since moving to Ballarat in 2005, she has worked in the public mental health system across a range of community, inpatient and rehabilitation settings. During this time she attained her fellowship from the Royal Australian and New Zealand College of Psychiatrists. Dr Ghai endeavours to provide quality and evidence based individualised treatment through a detailed assessment process. The focus of treatment is holistic, eclectic and is based on both psychotherapy and medications for a wide range of psychiatric disorders from ages 18 years and up. She has over 13 years of experience in treating various psychiatric and psychological disorders including depression, anxiety, Obsessive compulsive disorders (OCD) , Post-traumatic stress disorders (PTSD), psychosis/ schizophrenia, bipolar affective disorder. Dr Ghai provides both psychotherapy as well as skill based psychotherapeutic treatments in the form of Cognitive Behavioural therapy (CBT), Interpersonal therapy (IPT) Mindfulness etc. 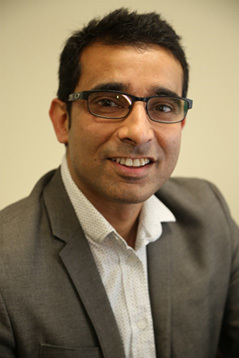 Dr Ghai has a special interest in perinatal psychiatry and women's mental health, co-morbid medical and psychiatric disorders, mood disorders and anxiety disorders. Dr Ghai has been involved in teaching undergraduate students in psychiatry and is currently a Senior Lecturer with Deakin University. 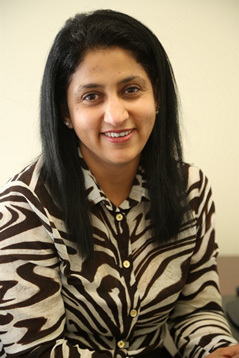 She also holds current accreditation with SJOG, Ballarat as a Psychiatrist. In her personal time, Dr Ghai enjoys spending time with her family, exploring new places, reading, watching documentaries and music. Advanced Certificate in Child & Adolescent Psychiatry. 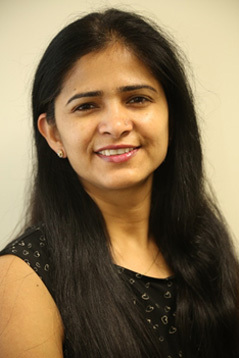 Dr Mishra completed her basic medical training and post-graduation (Psychiatry) from King George Medical University, Lucknow, India. She moved to Australia in 2006 and has worked as Consultant Psychiatrist at Ballarat Health Services till 2013. After attaining Fellowship in Psychiatry with Royal Australian and New Zealand College of Psychiatrist, she completed Advanced Training Certificate in Child and Adolescent Psychiatry. As a part of this training, she has also worked at Austin Health, Melbourne. Dr Mishra has particular interest in mental health issues of children & adolescent such as bullying, depression, anxiety, developmental issues, grief & loss, low self-esteem, attachment disorder, sleep disturbance, anger, social difficulties, psychosis, eating disorder, and behavioural & emotional issues. She also runs an Autism Assessment clinic. She has vast experience in parent therapy, family therapy and in treating relational difficulties. Dr Mishra also possesses strong clinical experience in Adult Psychiatry and is competent in dealing with bipolar disorders, anxiety, early psychosis, Schizophrenia, PTSD, perinatal and women’s mental health issues. Dr Mishra provides a combination of pharmacological & psychological treatment options using a broad bio-psychosocial approach. Therapy is tailored to the needs of the individual and may include individual/parent/family therapy, medication or working with schools/ agencies. She also holds current accreditation with SJOG, Ballarat as a Psychiatrist. In her spare time she likes to read, walk & cook and enjoy time with her family & friends. Dr Tandon completed his graduate medical training (MBBS) and postgraduate training in psychiatry (MD) from King George Medical University, Lucknow, India. Dr Tandon also has an interest in psychiatric research. He has worked as a senior research fellow for about 4 years prior to taking over as a consultant psychiatrist at Ballarat Health Services in 2004. Apart from the primary clinical work, Dr Tandon was also actively involved in various service improvement activities. From mid June 2015 Dr Tandon is still continuing his role as a psychiatrist at Ballarat Health Services as a VMO. During his work at BMHS he attained his Fellowship in Psychiatry with Royal Australian and New Zealand College of Psychiatrist (FRANZCP). Dr Tandon has experience in treating a wide array of clinical psychiatric conditions in Adults including depression, bipolar disorder, anxiety disorders including generalized anxiety, OCD ,PTSD, brief psychosis, schizophrenia, Delusional Disorder and personality disorders. In his spare time he likes to read about historical geology, run and spend time with family & friends.